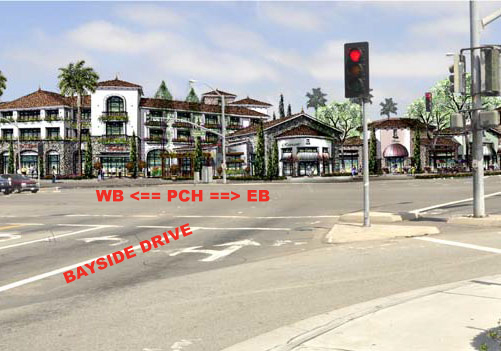 Back Bay Landing & Balboa Marina Projects: Update by Seychelle Cannes August 2015: The Back Bay Landing Project is proposed as a mixed-use waterfront development on seven acres at 300 East Coast Highway (PCH and Bayside Drive). This site now functions as a parking lot and recreational vehicle storage area. The Newport Beach City Council approved the project entitlement on February 11, 2014 for over 82,742 square feet of office, restaurant and dry-stack boat storage. The approved footage for the project does NOT include the propose 49 individual residential units, a three-story parking lot (partially under-ground) nor a 65 foot viewing tower. These additions are being requested by the developer through an amended Conditional Land Use Plan (CLUP). This parcel is currently zoned for marine use only. The architect for the Back Bay Landing project is the same architect that designed the Mariner’s Pointe retail and restaurant development located on West Coast Highway at Dover Drive. 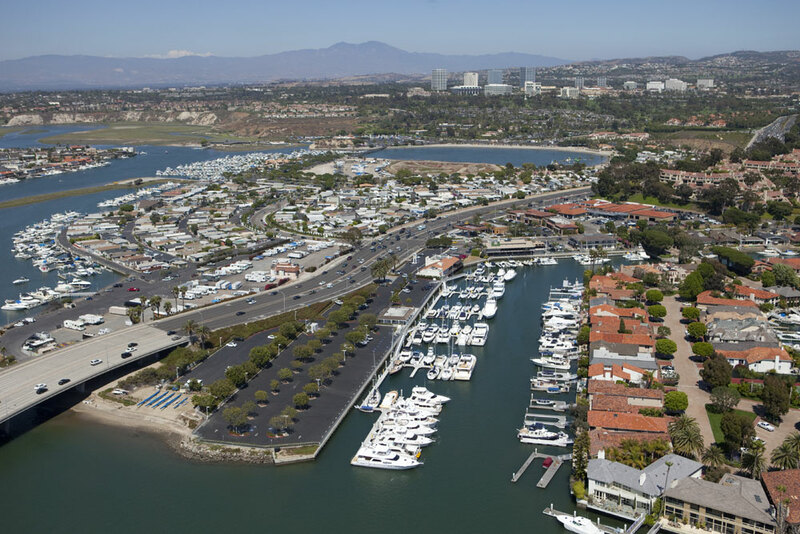 The Balboa Marina is slated for a development project as well. Only one block away from the proposed Back Bay Landing Project, just west of Bayside Drive, is the expanded development proposed by the Irvine Company at the West Balboa Marina. Located at 201 West Coast Highway, this project will expand the existing Balboa Marina by constructing a 19,400 square foot marine commercial building for a yacht brokerage office, public restrooms and a restaurant. It is essentially at the site of the former Ruben E. Lee. With higher density plans for Mariner’s Mile, traffic grid-lock is still in our future, despite the overwhelmingly opposition and defeat of Ballot Measure Y in November 2014. Article by Seychelle Cannes (2/2015): A mix-use waterfront development project on 7 acres at 300 East Coast Highway (PCH and Bayside Dr.) which changes the current parking lot and recreational vehicle storage area to more than 82,742 square feet of office, restaurant and dry-stack boat storage. With higher density plans for Mariner’s Mile, traffic grid-lock is still in our future, despite the overwhelmingly opposition and defeat of the 2014 Ballot Measure Y.
Newport Beach City Council approved the project entitlement on February 11, 2014 for over 82,742 square feet of office, restaurant and dry-stack boat storage. The total approved square feet of 82,742 for the project does not include the propose 49 single residential units, 3 story parking lot (partly under-ground) nor a 65 foot viewing tower that the developer is requesting through an amended Conditional Land Use Plan (CLUP). Presently the parcel is zoned for marine use only. The architect for the Back Bay Landing project is the same architect that designed the Mariner’s Pointe retail and restaurant development located on West Coast Highway at Dover Drive. For more information, read this article about the December 2014 Coastal Commission Meeting, as well as the project write up on the Newport Beach City website. Another development, adjacent to this project, is the expanded development proposed by The Irvine Company at the West Balboa Marina, located at 201 East Coast Highway (West Coast Highway and Bayside Dr.). The project will expand on the existing Balboa Marina and construct a 19,400 square foot marine commercial building for a yacht brokerage office, public restrooms and a restaurant. 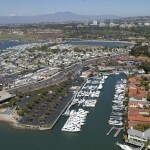 For more information on the Balboa Marina project, read the article here. This entry was posted in Watch List and tagged back bay, back bay landing, bluffs, city of newport beach, coastal bluffs, coastal zone, local coastal plan, mariners mile, SPON, Still Protecting, west balboa marina on August 9, 2015 by SPON-Karen. 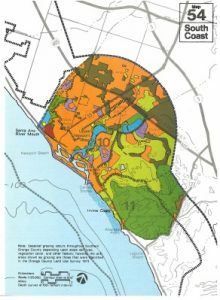 Local Coastal Plan: Article by City of Newport Beach (2/2015): A proposal to govern land use, public access, and resource protection policies and regulations for all development within the coastal zone of Newport Beach. 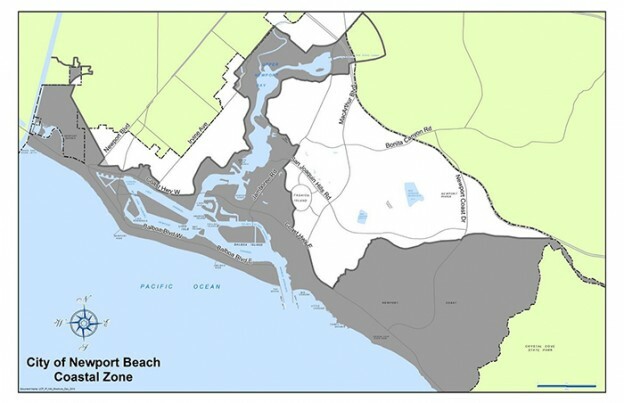 The City of Newport Beach (City) is in the process of creating its first Local Coastal Program (LCP), a planning document that sets land use, public access, and resource protection policies and regulations for all development within the community’s coastal zone. A draft of the associated implementation plan is now available for public review here. The Coastal Development Act of 1976 requires all California cities with land area within the coastal zone to have an LCP certified by the California Coastal Commission. The Act also requires a Coastal Development Permit (CDP) for most development within the coastal zone. Currently, residents and business owners with projects within Newport Beach that require a CDP must apply to the Coastal Commission for permit approval. After certification, the majority of CDP applications can be reviewed and approved by the City rather than the Coastal Commission. For a property owner, this change will provide greater accessibility to staff assistance, faster permit processing, and lower permit costs. LCP certification is a multi-step process with numerous opportunities for community participation. The City is hosting a series of community workshops to explain what a certified LCP would mean to those who own property, operate a business, or reside within the Newport Beach coastal zone and to receive community input on the draft implementation plan. In addition to the four community workshops planned, the draft plan will be reviewed by the Newport Beach Harbor Commission, Planning Commission and City Council during public meetings. It will also be reviewed and eventually certified by the Coastal Commission during a public meeting. Public comment on the draft plan will be welcomed at each meeting. This entry was posted in Watch List and tagged bluffs, canyon, city of newport beach, coastal bluffs, coastal canyons, coastal zone, local coastal plan on February 15, 2015 by SPON-Karen.